446.41 Logger Dungaree - Relaxed Fit - Indigo Blue - Key Work Wear Online Store - KEY Logger Dungaree - Relaxed Fit 446.41, KEY Relaxed Fit Logger Dungaree means Comfort with a Full Cut, Back Yoke and No-Bind Rise. 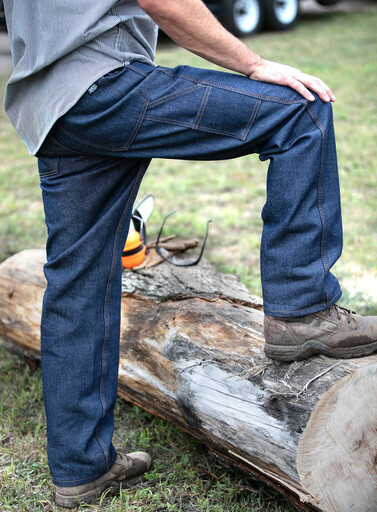 Get the job done with the KEY Denim Logger Dungaree. The heavyweight denim, reinforced with triple needle stitching and riveted pockets, provides protection and is built to endure tough working conditions. The Dungaree that loggers and forestry workers count on for rugged service, protection and comfort! You can hack it, when you wear the KEY Denim Logger Dungaree.